Architecture, Engineering and Construction (AEC) are interesting business niches, often involving talented people who spend much of their working hours outdoors, and the other 10 percent attending to paperwork and financial responsibilities that have to get done. Can you relate to this scenario? Then it’s time to play a little catch up and learn how search engine optimization or SEO can help your construction company be found, develop your brand recognition and capture those qualified leads who will migrate to competitors’ sites if your website doesn’t provide the information and solutions needed. The good news for those who are newer to the digital marketing arena is that you’ve made it this far on yesterday’s advertising methods. That’s quite an accomplishment. Even so, now is the time to learn, practice and hone your SEO skills so all that hard-won business doesn’t fall to the wayside. 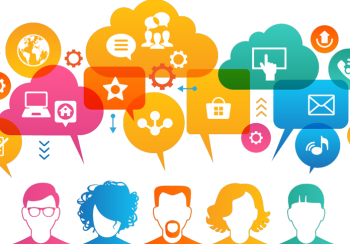 Even word-of-mouth referrals typically hop online to search for information about your company. If you can’t be found – or your website is outdated – there’s a very good chance those potential new customers will go elsewhere. Search Engine Optimization is a digital marketing technique that makes your construction company’s website and social media accounts more visible to web crawlers. So, for example, if you open a new browser window, go to your search engine of choice (typically Google, Bing, or Yahoo) and type “Best Construction in (enter your city name)” does your website show up on the first page? If so, where? What if you type “kitchen remodelers (enter city name)” or “licensed contractor (enter city name)”? The point being that when prospective clients are looking for products or services that your company provides, you want to show up on the first of the search engine results pages (SERPs) and, ideally, you want to show up within the first handful of results on that page, since most searchers don’t click further than that to find what they’re looking for. If you type in keywords and phrases prospective clients will use to find you – and your company appears “above the fold” on the first SERP, congratulations! You’re on the right SEO track. If it doesn’t, it’s time to hone your SEO skills or hire an expert SEO agent that knows your particular niche. 1. Create content people find valuable, start documenting your jobs with pictures and video that can be used for website content.. The most important piece of advice we can give you is to create high-quality, original content that people want to read or view. In the beginning of SEO, you could just stuff pages with keywords and phrases – often very awkwardly – and your site would still rank pretty high. That doesn’t work anymore. Search engines (Google – Bing, etc) want people to trust them to find the best websites pertaining to their search queries, so they’ve created very precise computer algorithms that sift out the good stuff from the junk. Write about the subjects and topics your clients want to know, and odds are prospective clients will find you as well. 2. Include contact/location information. Most searches are done on mobile devices now, and those mobile devices typically have GPS features. Thus, search engines pay attention to the location of the device being used for the search and spit out SERP results accordingly. If you don’t have your company’s contact and location information front and center on key web pages, you may not show up. Bonus Tip: Make sure your company is listed on search engine registries, like Google+, to increase your visibility. 3. Continue to do keyword research. Never stop looking at what topics bring people to your site, and which words and phrases people are searching – in general – with regards to your products, services, niche, etc. Unfortunately, Google AdWords accounts are no longer free, but you can set a very modest budget and still learn a great deal about the best words and long-tail phrases to include in your content creation and social media interactions. You can also search online to find free keyword tools to get started. 4. Be active on social media. Those aforementioned search engine algorithms pay attention to how much websites and social media posts are shared by others. Every time someone shares something you’ve written or posted, it’s a “vote” telling web crawlers that information is valuable. The more shares or “votes” you receive, the higher your SERP placement will be. So engage regularly in social media and your odds of being “liked” and “shared” will increase exponentially. 5. Collaborate with others. Inbound links (when another website/ social media post links to yours) and mentions/citations of your company by another company or website is also a “vote. Begin collaborating with vendors, suppliers, clients and other industry leaders, and start collectively building each others inbound links and citations. This expands your network and can garner leads from additional contact pools. If all of this sounds like too much for your schedule or abilities, maybe it’s time to consider hiring a professional SEO expert. 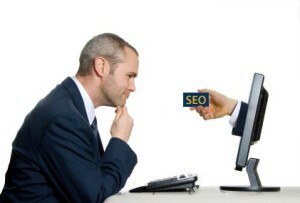 A qualified SEO agency will have all of the people, software and systems in place to deliver impressive SEO results. What are impressive SEO results? Ask a prospective SEO agency for examples of their ability to positively impact the performance of real customer websites in the search engine results. These case studies as most people refer to them, should be able to show you proof positive that you are dealing with an experienced expert. All too often companies provide SEO services with no results to show for the investment. A real SEO professional is more of a business developer because ultimate result of real SEO services are more leads and customers. 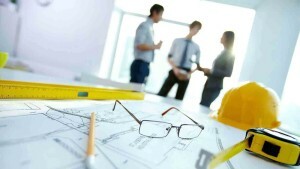 Allweb Marketing provides SEO services for Architecture, Engineering and Construction companies. Gilbert Maynard, the founder of Allweb has twenty years of AEC business owner experience. As a home design and engineering firm owner Mr Maynard did all of his own website marketing. After realizing that Internet Marketing and SEO were out performing all of the traditional advertising media, Mr Maynard founded Allweb Marketing to deliver business developing results to other architecture, engineering and construction firms. Contact Allweb Marketing for a free consultation. © 2017 Allweb Marketing | Grand Junction SEO & Web Design | Internet Marketing. All Rights Reserved.